Since the early seventies, Bob Bianco has been passionately dedicated to actively promoting the ideals of quality craftsmanship. A quality finished kitchen. An entire custom home that reflects the honest pride of an individual’s workmanship. Custom cabinets that create lasting value. A graceful bureau that can touch a person’s soul. Products that are conceived, designed and built the right way – not the easy way. Bob’s unwavering philosophy of dedication to quality has proven its value over and over for many, many years. His goal has never been to be an average contractor, builder or cabinet maker. He is driven to strive to be the finest custom home-builder and maker of heirloom quality furniture, wherever he is, whether that is Sandpoint, Idaho or elsewhere. While the specifics of Bob’s career have varied over the years, his work has always been based on the custom building of practical objects. He spent the majority of the seventies founding and operating R.W. Bianco Fishing Tackle Company in San Diego, California. He designed, built and sold a complete line of more than 100 models of high quality, fresh and saltwater fishing rods in a retail and manufacturing facility he ran himself. Bob shared his knowledge by offering free rod building and general fishing classes at San Diego State Experimental College and at the San Diego Department of Recreation at Balboa Park. Through the years, hundreds of individuals attended these classes, learning fishing rod building, fly tying, and fly casting and later applying their skills to both fresh and saltwater sport fishing. The eighties were dedicated to co-founding and operating a highly successful real estate development and construction firm. 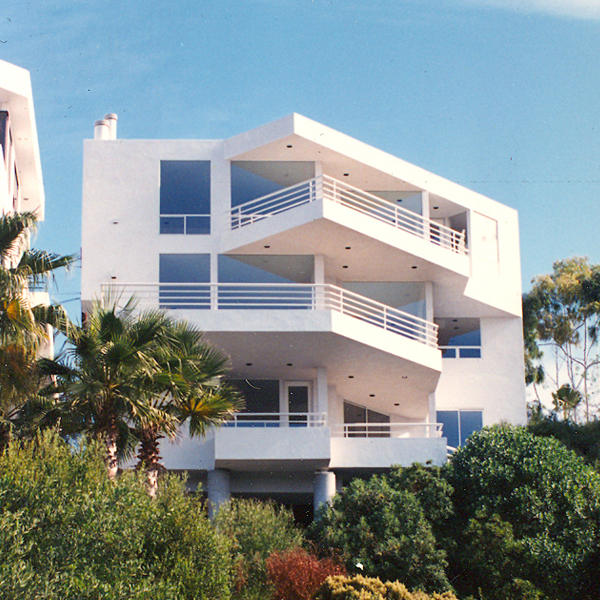 Bianco-Addison, Inc. was located in Cardiff-by-the-Sea, California and specialized exclusively in the design and construction of luxury residential homes on the Southern California coastline. The majority of the homes boasted spectacular ocean views. Site-specific, architecturally designed homes were built in the communities of Cardiff, Solana Beach and Leucadia. Because Bianco-Addison were in-fill developers/builders working in older, established neighborhoods, the design development, municipality approval process and building of the homes required special consideration. They made it a priority to be respectful, responsive and sensitive, always keeping the impact to all parties at the forefront of the projects. Besides showing a willingness to work with others in a practical way, the completed homes reflect Bob’s consistent dedication to quality. In addition, these homes illustrate Bianco-Addison’s dedication to the introduction of contemporary design. This chapter in Bob’s career afforded him the opportunity to create and implement construction management techniques not typically utilized in the residential construction field. The introduction of IBM personal computers into the culture at large was seized upon immediately and incorporated into Bianco-Addison’s daily operations. Bob and his partner utilized, modified and promoted the capabilities of the earliest available software releases with the end result of streamlining the traditional building process and lowering customer costs. The team also developed their own in-house, proprietary software, focusing on increasing their ability to deliver a truly quality, value-based product. Bianco-Addison’s dedicated, arduous development of computer software systems was multifaceted. It encompassed land acquisition and development, critical-path project management, estimating, cost control accounting, total quality management, marketing and customer satisfaction. In total, these software systems proved crucial to the firm’s success as luxury residential homebuilders and contractors. Bob’s permanent return to Sandpoint, Idaho, in the summer of 1989 offered the opportunity to expand his existing home built originally in the late seventies. In addition, he was able to build a large, state-of-the art woodshop at the same location. During this time, Bob constructed fewer homes and shifted his focus to fine cabinet and furniture making, a passion he always maintained throughout the years of general contracting. Cabinets and furniture have been a part of Bob’s body of work for as long as he has been building. Back in high school, he was an instructor’s teaching assistant. Bob was also blessed with an uncle and a shop instructor who were trained in and rigorously enforced the “old school ethic,” providing a solid foundation of respect for quality and craftsmanship. Bob is a richly talented person whose ability to build homes as well as create fine furniture is a rare combination. Whether he is functioning as a general contractor or as a maker of fine furniture and cabinetry, Bob puts his heart into his work to create a total solution. This leads to satisfied clients who enjoy their unique homes – in fact, sometimes Bob and his team think of the houses as big, dynamic furniture; details are that important. Furniture and cabinets are completed with heirloom quality at a level one rarely sees today. When the choice is between the lesser or the better quality, there is no question which way R.W. Bianco Construction will default. This quality is experienced each time a client enters their home through the sturdy, custom door. Each time they open a kitchen cabinet and feel the substantial solid wood doors. Each time drawers close smoothly and easily. Over the years, Bob and his cabinet crew have had the opportunity to design, construct and install high-end millwork, cabinetry and furniture in many highly visible residential as well as historic structures in North Idaho. Many of the recent projects have been waterfront and lakefront homes, located on the shores of Lake Pend Oreille or the Pend Oreille River in Sandpoint, Idaho and the surrounding area. Bob’s overall desire to share the knowledge he has acquired through years of trial and error and hard work as a general contractor and cabinetmaker is a major part of his approach to clients. This willingness to collaborate on ideas and to take the time for the sake of the best result possible is a reoccurring theme he feels strongly about. Thinking in terms of a total solution, he is able to deliver what clients want at the very high standard of quality that has become a hallmark of all of R.W. 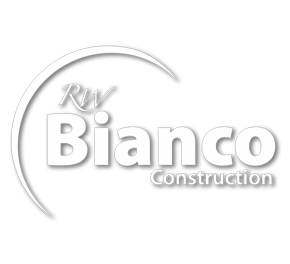 Bianco Construction’s work.